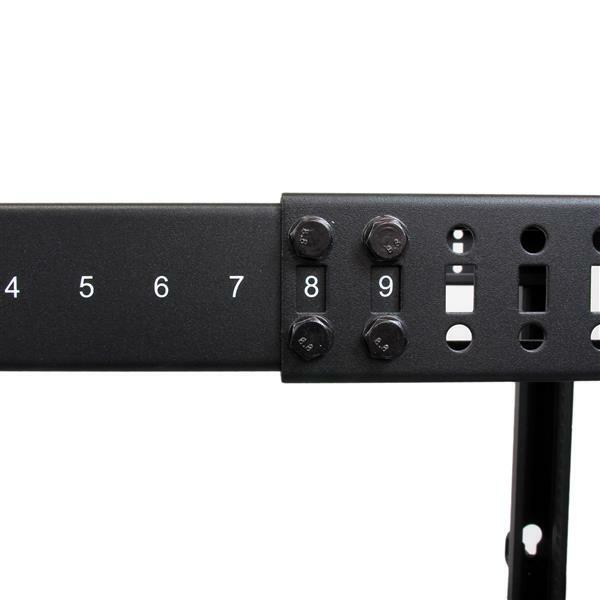 The 4POSTRACK12U 12U Server Rack lets you store your servers, network and telecommunications equipment in a sturdy, adjustable depth open-frame rack. 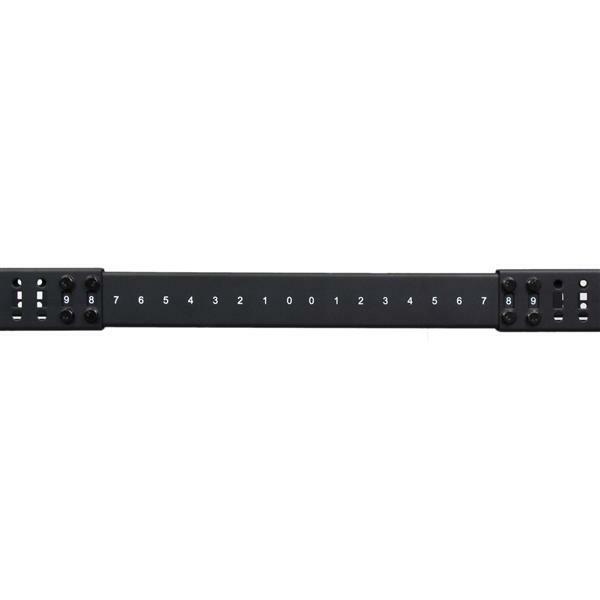 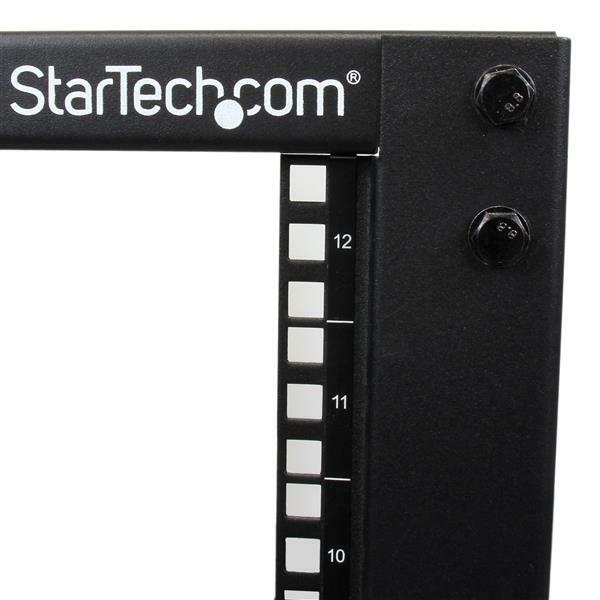 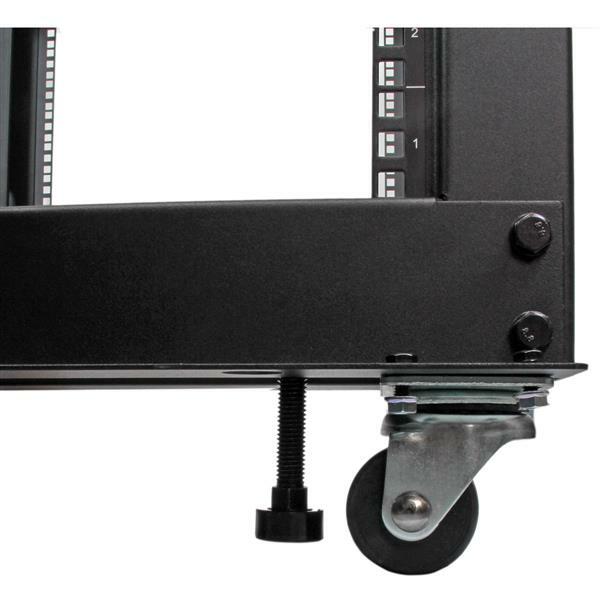 Designed with ease of use in mind, this 12U rack offers easy-to-read markings for both rack units (U) and depth, with a wide range of mounting depth adjustments (22 - 40in) that make it easy to adapt the rack to fit your equipment. 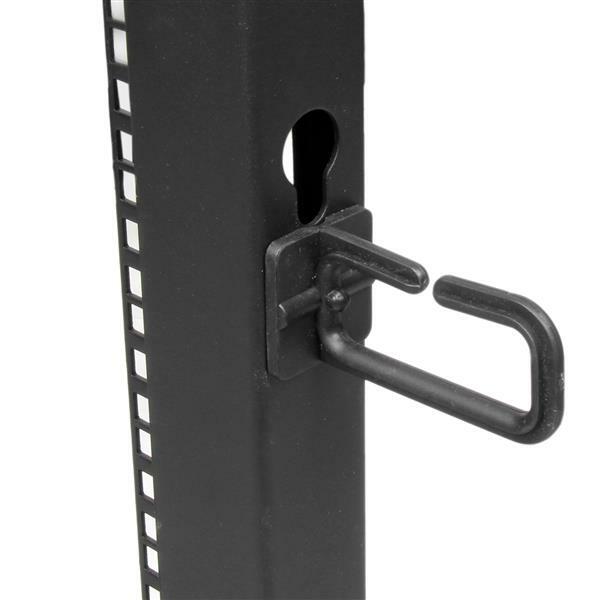 This durable 4-post rack supports a static loading capacity of up to 1200lbs (544kg), and offers compliance with several industry rack standards (EIA/ECA-310, IEC 60297, DIN 41494) for a universal design that's compatible with most rack equipment. 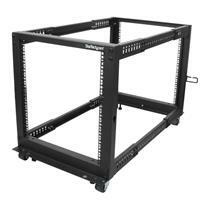 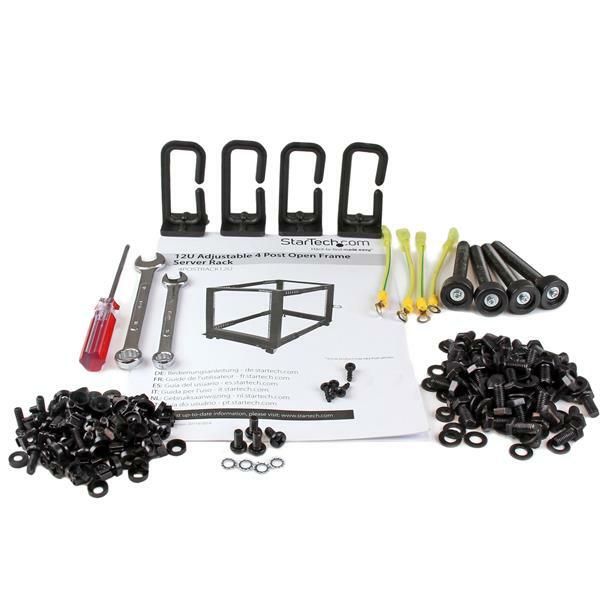 For a complete server storage solution that saves you time and hassle, the rack includes optional accessories such as casters, leveling feet and cable management hooks. 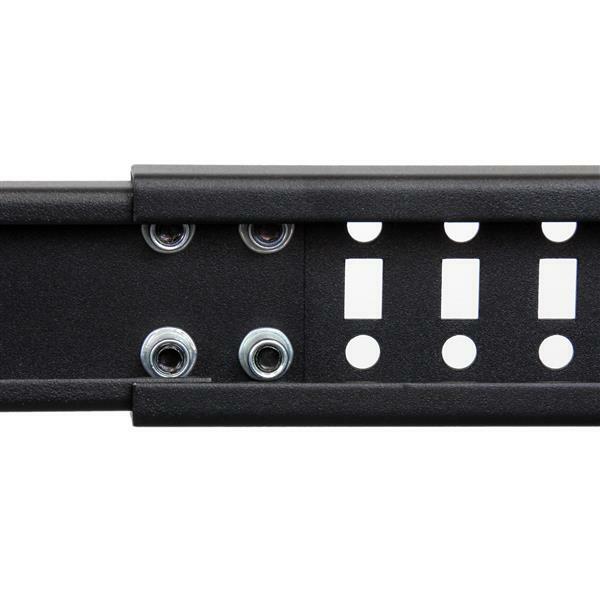 The base is also pre-drilled for securely fastening the rack to the floor if needed, providing you with additional stability to better suit your server environment.